March 16 : PARADA DABAWENYO 7AM at Magsaysay Ave. to CM Recto to Bonifacio St. to Legaspi St. till the end tail of the parade at San Pedro Street. March 16, 1936, A Congressman from Davao Romualdo Quimpo filed a bill 609 and passed as Commonwealth Act 51, creating City of Davao from the so called town of Davao or MAYO and Guianga District. 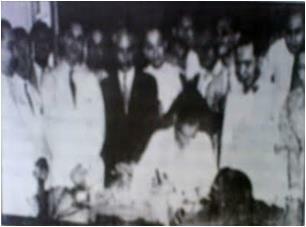 And on October 16, 1936, President Manuel L. Quezon inaugurated Davao as a CHARTER CITY. And the City of Davao became a provincial capitol of a United DAVAO PROVINCE. Davao City is one of the first two towns become a city in Mindanao, the other one is Zamboanga. Happy 78th Birthday my Beloved Davao City!!!!! !